Their deeds resemble the deeds of Eli's Sons but they desire to be called Elijah or Nehemiah! PHOTO: former Moderator G. Dhyvasirvadam is out on bail after serving 42 days in jail. The corruption that has plagued the Church of South India is the issue of patronage abuses which violate the laws or ethics codes and engage in nepotism, hiring family members, and cronyism such as fraudulently awarding competitive positions of power in the church to friends or relatives through back-door entries or pressuring the high-level church committees to appoint an unqualified loyal member or a relative to executive positions in institutions. Such patronage is in operation in the CSI in the form of Moderators, bishops and rich laymen who have money and muscle power. They use church resources to reward themselves to ascend to higher positions and award benefits and bestow offices to individuals for their electoral and other forms of support. It is a quid pro quo network of the unscrupulous sale of power configurations which isolates and discredits those who cannot be of any service to the network. To enter and survive in the network, one has to act or refrain from acting in ways suitable to the patrons. It is a type of corruption or favouritism in which an individual in power rewards groups, families or ethnicities for their support (given at any cost by going to any extent), using illegal gifts or fraudulently awarded appointments or involving them in the illegal sale of church properties to help make it appear legal. This type of patron-client relationship has enabled the patron to gain and maintain power over a long period of time so as to capture all opportunities for extracting personal gain, including bribes. Corruption in the CSI, therefore, is systemically organised, conducted and rationalised. What is in the patron's self-interest was morally and ecclesiastically justified. It cannot be said that corruption is committed by some remote or odd individuals thus developing a comfortable perspective not to look beyond individual cases. We have heard the expression that a rotten apple spoils the whole barrel. Do we wonder how? Joe Schwarcz explains, "The ripening and subsequent rotting of an apple can be linked to its internal production of a gas called ethylene. As in other fruits, ethylene stimulates a large number of enzymatic processes which are in general responsible for ripening. An increase in concentration of this gas enhances tissue respiration (oxygen uptake) which leads to a slightly increased internal temperature. This then leads to a breakdown of chlorophyll and the synthesis of other pigments ... a component of fiber which cements cell walls together, begins to disintegrate, softening the tissue. A rotting apple can stimulate this process in other apples." As far as the CSI hierarchy is concerned, the whole barrel of apples is rotten locked up in an unhealthy patron-client relationship in which the clients take the role of mimicking the patron's self-serving actions performed to enrich themselves through illegitimate means. The jailed former Moderator Dyvasirvadam, the chief example of patronage, mastered in establishing the corrupt system of patron-client in all levels of administration in the Church of South India. ''Clientelism and patronage are strategies for the acquisition, maintenance, and aggrandizement of political power, on the part of patrons, and strategies for the protection and promotion of their interests, on the part of the clients'' In this present essay, we pick one such sincere client, Pushpalalitha, the first woman bishop in the CSI. The aim of this essay is not to brand her as corrupt but the news we are hearing about her from her diocese has made us feel that the complaints about the financial deals of the bishops follow a pattern that have common characteristics. It has made us wonder that this faithful client has internalised the characteristics of her patron Dyvasirvadam and has begun to engage in corrupt activities of using church resources for her personal benefit with the support of her clan. Patron crimes (i.e. crimes committed by someone in a trusted occupational position) have to do with misconduct in financial matters and wrongdoings connected to the sale of the church assets. Almost all bishops come from economically disadvantaged groups and not from the upper socio-economic class. The aim naturally is to accumulate vast amounts of wealth in the form of cash and gold so that that will give enough fuel to drive their way through if they are caught in a judicial trap. So, betray the trust to the maximum level while in office, even when it could bring opposition from certain circles. Opposition can be silenced, threatened and discredited through reprisals so that the attention of the people might be deflected away from suspected criminal activities. Bishops and heads of institutions developed clientalist ties directly or indirectly with the patron Moderator Dyvasirvadam, which not only opened up access to decision-making positions but gave them a licence to plunder the wealth of the church through arrangements that may look legal but which are illegal underneath. The Corrupt Ways of the Patron? This is clearly witnessed in the charges that led to recent jail sentence served on the former Moderator of the CSI and the President of the CSI Trust Association for alleged fraud and corruption. The custodial sentence lasted for 42 days (from 12 December 2018 to 22 January 2019) at this initial stages of inquiry, and the former Moderator will actually have to serve the full sentence (seven years of imprisonment) if he is convicted of the charges. He was granted bail after appealing for it three times, but with the condition that he has to report to the court twice a week. From the investigation side, it was argued at the court that bail should not be granted to Dyvasirvadam as he is the accused number one in cases of selling land belonging to the Church of South India Trust Association without proper official approval and documents and that he might influence the witnesses. The petitioners charge the former Moderator for selling a property whose market value is 17 crore rupees was reported as sold for 3 crores whereas the rest of the money was allegedly shared between him and his loyalists who were part of the illegal deal. In another deal, 62 acres of land were sold for more than 200 crores of rupees, and the money was not paid into the CSITA's account. One crore rupees is currently equivalent to USD 140,600. But one crore has much higher economic value in the Indian society than the equivalent dollars in the US Society. Dyvasirvadam, it was claimed, collected huge amounts of deposit money worth several crores from shop lease-holders and did not eventually pay the money into the CSITA accounts. It was further argued that evidence can be shown that Dyvasirvadam during his tenure as the President of the CSITA for ten years and as the bishop of the CSI for 13 years has misappropriated crores of foreign money received from different parts of the world. In his own diocese of Krishna-Godavari he transacted money through 20 different bank accounts when he was allowed only to have five accounts to be in operation. Cheques were deposited in separate accounts opened in the names of the lower-level staff of the diocese which later were closed after the money was withdrawn from such accounts. The famous teak wood trees grown in the church campuses, out of which most expensive furniture is made, were cut and sold for crores of rupees under the pretext that the trees might fall at any time, causing damage. The list of charges is still extending! A piece of land of about 5 acres in Eluru town in the diocese of Krishna-Godavari was sold for a mere 4.68 crores when the Sub-Registry Office which is the official valuer of lands would value the land as worth 30 crores. In another instance, Dyvasirvadam is said to have registered in his name 3.25 acres of diocesan land lying at the centre of Eluru town as having been bought for less than a crore when it was worth several crores at the then market value. What is added to these shameful acts was that there is unassailable evidence to support every charge. At one time he was functioning as bishop (interim) in six dioceses which included four rich cosmopolitan dioceses. An extensive search of his financial dealings and appointments to fill vacancies in all these dioceses have to be conducted to unearth more fraudulent activities committed by him and his clients. Where did all the money go? the people have begun to ask. Some courageous individuals are dragging the bishops to court which is a costly affair in India. If such valiant men can rise in each diocese overcoming the temptation of accepting money to maintain silence and neutralising the pressure of withdrawing the cases, the prison doors will open for a lot more leaders of the church. Yet, ultimately it is for the honourable court to decide. A patronage-client relationship is a reciprocal exchange of favours between two individuals of different status and power, usually involving favours given by the patron to the client in exchange for the sub-ordinate client's loyalty and support shown on all occasions. The favour given to the client must be a benevolent deed such as making one a bishop even though the candidate was least qualified for it. This was the case with Pushpa Lalitha who was the last person in the panel, having been rejected once before. The errant patronage picks those individuals who are in the rubble and places them in undeserving positions so that the loyalty towards the patron would be strong, dependable and long-lasting. Almost all bishops and the Moderators practise this art in an uncanny manner of their own so that they can enjoy protection from exposure of their wrong-doings. Income from church resources are siphoned off to feed this system to make it grow. It will take two decades or more to put to death the ill-effects of the poisonous tonic of corrupt and egoistic patronage which flowed through the veins of the CSI. Their deeds resemble the deeds of Eli's Sons but they desire to be called Elijah or Nehemiah! The Youth4CSI, a movement for anti-corruption in the CSI, wrote that with the selection of Rev. Pushpa Lalitha to the office of bishop, Dyvasirvadam who was standing for CSI Moderator at Synod elections around the same time, had ensured he got the 15 or so Synod votes from Nandyal diocese and he probably used the selection of CSI's first woman bishop (even though she barely managed to find a fourth place in the panel of candidates) to garner the votes of the women representatives in the Synod, thus projecting himself as being pro-women. No sooner, Rev. Pushpa Lalitha became the Rt. Rev. she was awarded a Doctor of Divinity by Andhra Christian Theological College whose chairman was Dyvasirvadam. The client became the patron herself. Soon she was catching up with her mentor and the patron in imitating the characteristic style of money-making. We do not receive good news from the people of her diocese. Youth4CSI has reported, 'She had entered into a sale agreement regarding a 52 cents property in Nandyal for Rs 6 crores and had taken Rs 2 crores as advance for the same.' On another charge more serious than this, a Writ Petition (36752/2018) was filed at the High Court of Andhra Pradesh charging Pushpa Lalitha of corrupt activities committed along with her brother, and the court directed the Sub-Inspector of Police to register a fresh First Investigation Report which was carried out. The First Information Report (no. 195/2018) dated 21 December 2018 against Pushpa Lalitha states, 'This is a case of Criminal Breach of Trust and Cheating that occurred prior 21-12-2018 in Church of South India, Diocesan Office of Nandyal ... wherein the accused A-1 E. Pushpalalitha, Bishop of the Church of South India, Diocese of Nandyal ... misappropriated some Crore rupees of the Foreign Funds of the said organisation by utilising (for) their personal use, and cheated the organisation, Hence the FIR.' Another case (O. S. 233/2019) against Pushpa Lalitha is filed at a lower court in Nandyal which has ordered to maintain a status quo by both parties with hearing posted to 14 March 2019. The petitioner also wrote to the Chief Minister of the Andhra Pradesh State on 21 January 2019 asking for a Crime Branch, Crime Investigation Department (CB-CID) inquiry over the alleged misappropriation of more than 200 crores of rupees, and this matter emerged during the discussion time at the State Assembly meeting through the efforts of the local Member of the Legislative Assembly urging for action against her. If it happens, it will follow similar pattern of legal inquiry and investigation which might land Pushpa Lalitha in jail should justice prevail. There is a host of others sitting in high-offices today as bishops, principals, directors, high-profile committee members, managerial personnel etc. in the length and the breadth of the CSI who have benefitted from the Patron-Client benevolence showered by Dyvasirvadam so that power is concentrated in one single individual to control all networks. They are loyal clients, un-meritorious, under-qualified, unproductive and unscrupulously corrupt men and women, who ruined the opportunities for the most deserving, the competent and the committed. They bend to touch the feet of Dyvasirvadam both in private and in public as a gesture of gratitude and obedience as they would not have come anywhere nearer to the high offices and privileged positions without the manipulative power of the chief patron. Whenever Dyvasirvadam spoke of 'church' he meant in his mind only the network of persons he formed around him to gain and secure power for himself and his obedient clientele. It is this most opportunistic men and women (the ordained and the lay) from whom the corruption and cronies stem and who are providing resistance for any change to happen in the CSI structure and governance. It is they who mutually support each other to cover up the sins committed and to protect one's chances of survival and material happiness. This is the rock upon which corruption is built. We have to deal with this double-barrel of corruption and lawlessness. It has dented the international image of the CSI and has demeaned the church and its leaders in front of their own people. The magnitude of the task should not make us run away from the challenge. CSI members may be disturbed by news about corruption, but reform will not set in without the collective will and united action toiling for change. This is a challenge which has to be faced frontally, boldly and quickly. Where are the reform efforts to mitigate the patron-client type of corruption? Church administration reform in the CSI, assets-management reform in the CSITA and meritocracy-based spiritual as well as professional leadership are the only strategies which can curb corruption. Rev. 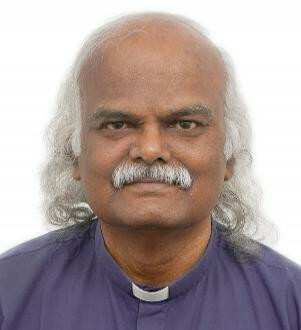 Dr. Joseph G Muthuraj was a Professor of New Testament for more than two decades at the United Theological College, Bangalore until his retirement. He is an ordained minister of the Church of South India. He is a former student of St, John's College, Durham (UK) and obtained his doctoral degree from the University of Durham. He has authored several books and the latest one is on the subject of Corporate Governance in the Church of South India Trust Association published by the Globethics, Geneva.